On May 25, 2018, the Membertou Reserve Band Council announced that they had received a $750,000 investment from the Government of Canada to venture into the boat building industry, with the announcement of this project made by the Honourable Mark Eyking, Member of Parliament for Sydney-Victoria, on behalf of the Honourable Navdeep Bains, Minister of Innovation, Science, and Economic Development and Minister responsible for the Atlantic Canada Opportunities Agency (ACOA). This investment, which is through ACOA’s Business Development Program, will create a minimum of ten new full-time jobs and will support the enhancement of the infrastructure of the band-owned facility in the Sydport Industrial Park. Membertou came upon this opportunity after realizing that the wait for some fishing vessels can be over three years. This new venture will better serve market demands for fishing vessels under 45 feet in length and would benefit Membertou and surrounding communities. Membertou has become a benchmark for successful urban indigenous communities across Canada, along with being the third largest employer in the Cape Breton Regional Municipality (CBRM). The project is a joint venture with Canadian Maritime Engineering (CME), which will provide the skills, knowledge and training to produce quality vessels under 45 feet in length. The community of Membertou plans to use this project as a way to build capacity with training programs and incentives for community residents. “Membertou Council is an integral part of Cape Breton’s community, providing sound business acumen and employment opportunities for hundreds of people. The region benefits greatly from its drive to diversify the economy and create meaningful training and mentorship programs for our youth. 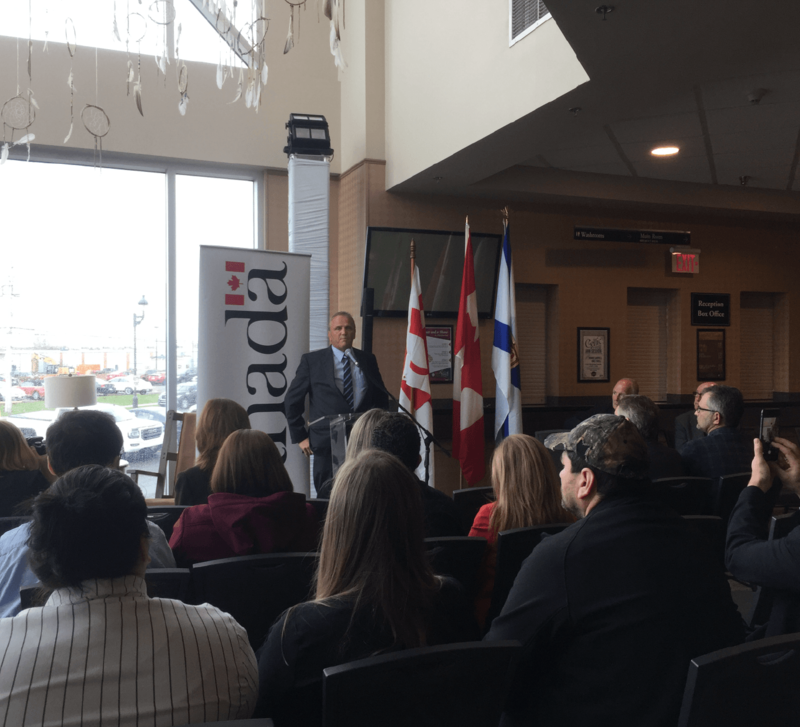 The Government of Canada is proud to be a continued supporter of the work being done here” said the Honourable Mark Eyking, Member of Parliament for Sydney-Victoria. Membertou First Nations is one of the Cape Breton Partnerships Legacy Investors and has worked on many initiatives with the Partnership. We appreciate and encourage all of the hard work and dedication Membertou has done for Cape Breton’s communities and economic development.